Scholarships: Let’s get Goal Digging some Money! At Goal Digger, we push for all of our Goal Diggers to put themselves out there and strive to achieve scholarships. It is hard to know where to start, so we’re trying to give you as much information as possible to get you started. Unfortunately, there is a lot of money dedicated to scholarships that remains unclaimed each year. The main reasons being: (a) it takes time and effort to apply for a scholarship and many students either run out of time, and (b) they don’t feel they meet the criteria to apply. Competition is not always high, because yes, you do need to take a bit of time to find those that are applicable to you. 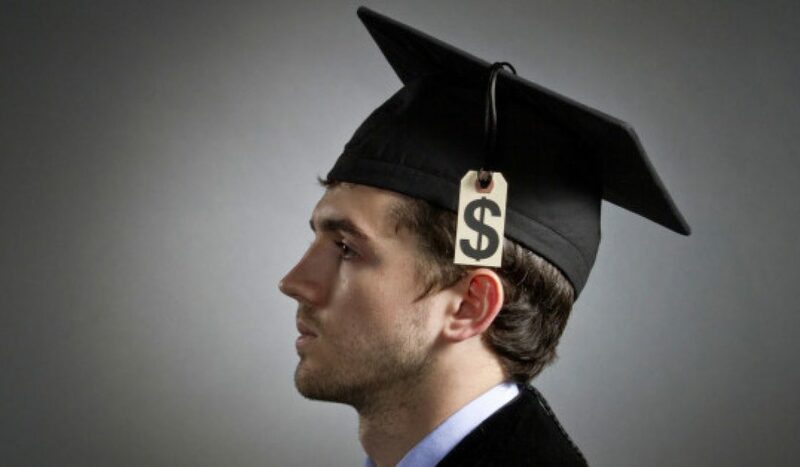 Scholarships are not for your stereotypical “brainy” students. Scholarships are often focused on well-grounded and dedicated students, whatever their passion. For our sporting people, it is often taken into consideration that a great deal of time is required to dedicate to training and competitions with less time to focus on study, so grade requirements can often be lower. It might be that a scholarship is only offered for a particular gender enrolling in a particular subject. You really don’t know until you start investigating. How do scholarship eligibility requirements come about? This is a tricky question, because there is no straightforward answer. It really depends on who is fronting up with the cash as to what requirements they want to see in the individual who receives it (and what sort of requirements they need to maintain while receiving money or other benefits). Some scholarships are offered by the institution itself. Institution motivations are often to bring in good well-rounded students and keep them there to achieve a great outcome of which the institution can feel they have contributed to. Companies or individuals offer some scholarships and these are often not as clear-cut. When companies or individuals (or families) put up scholarships, their motivations may be driven by their particular commitment to social responsibility, trying to increase successful graduates into a particular industry or just in general, being a good bugger. I am going to pretend you didn’t say that. The big deal? Free money! And kudos to add to your CV. When there is a competitive pool of graduates looking for work post study, what will help you stand out above the rest? What your first year accommodation costs will be (your student loan living costs or allowance will not cover this). Try calculating how many hours it might take you to put in an application for a $3000 scholarship. Let’s say 30 minutes contacting and coordinating referees, 30 minutes uploading your application and one hour to write the required written supplement. I am no mathematician, but that’s $1500 per hour of work. How many hours would it take you to earn that in your current part-time job (or full-time for that matter)? The local newspaper. Scholarship calls can often be found in the daily brief columns and in the classifieds at the back of the newspaper (particularly those related to particular iwi). The scholarships information advertised at your intended institution of study (you can often subscribe by submitting your criteria). National industry institute websites (example: HRINZ, CANZ, PRINZ). Large companies that operate in your intended profession (example: Fonterra). Charitable organisations such as: http://www.geysercf.org.nz and http://rotoruatrust.org.nz as examples. Scholarships are based (often) on your NCEA Level 2 results, as they are the best indication of your potential success in NCEA Level 3. Your extracurricular or volunteer involvement counts for heaps! Closing dates are often in August, September and October for the following year. And lastly, your effort put into the application is really evident to the panel reviewing your application. As a panel assessor for various scholarships funds myself, I can tell you that the amount of effort put in to your application can often be the single most important thing. Whilst it is easy to copy and paste information from one application to another, it is really obvious and when you are asking people or institutions to part with large sums of money to people they don’t know, they really need to know that you want it, and want it bad! Assessors want to know who you are, what your dreams are and how hard you are prepared to work for them. Are you planning to return to your region to work when you are qualified with a degree? How will your success benefit the person or organisation supporting you to get there? These are the things to think about. Some applications require application forms to be hand written. If this is the case, take a photocopy of the form before you start it, or ask for two application forms in case you make a major mistake. If you are electronically submitting, ensure you have printed the web pages and checked for errors as you go. Always ensure that it has actually submitted too, no sign of a confirmation email? Better check. Know that your application will typically be allocated points under certain criteria. So if you know that your application is weak in one area (it might be that you don’t quite meet the criteria to apply, or you are a bit short on experience required), make undeniably sure that the rest of your application stands out head and shoulders above the rest. And finally, keep a track of who, where and what you have applied to and for. Know the scholarship and organisation/individual information inside and out. There is nothing and I mean nothing worse than phoning the successful applicant to offer them a stack of cash or benefits, and they can’t quite remember which scholarship you are referring to. It is a major anti-climax to the giver when “the call” is a much-anticipated moment. Get out there and start digging, time is running out to keep your student loan balances down. Best of luck to all of our Goal Digger’s, you get out what you put in and you all deserve greatness.